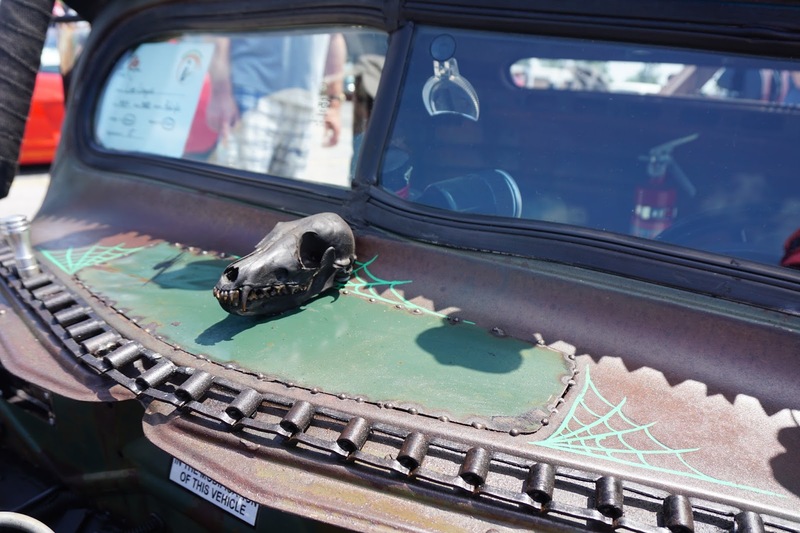 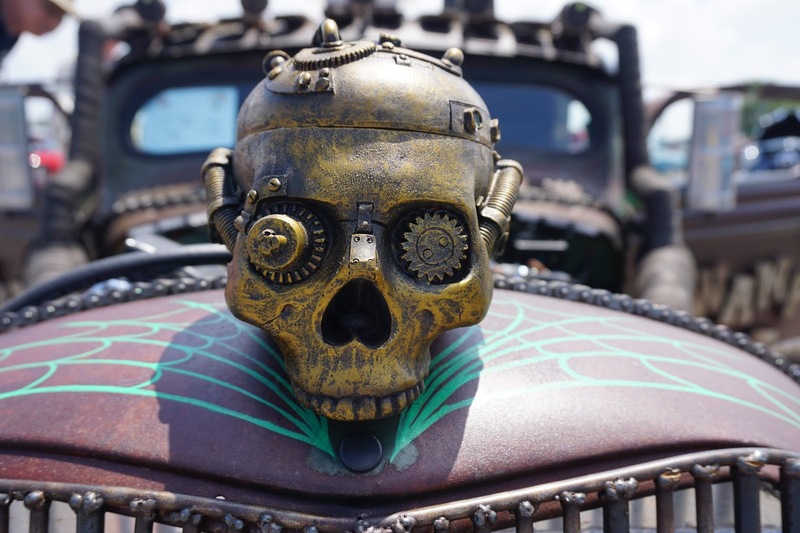 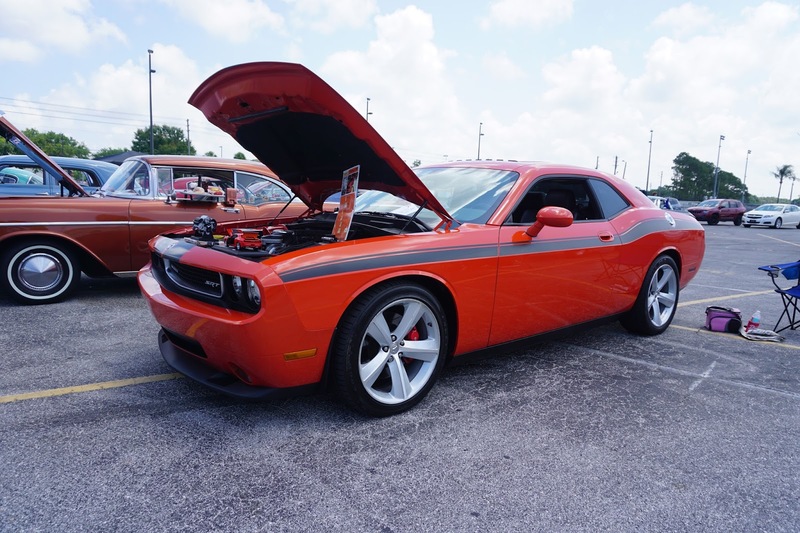 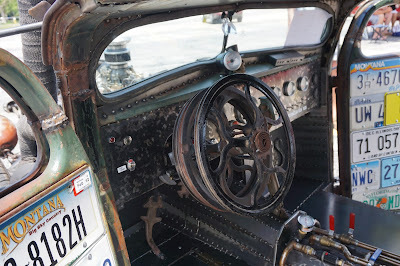 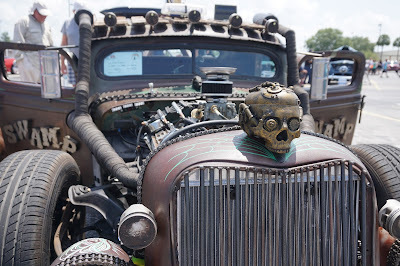 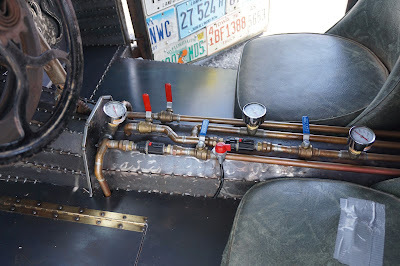 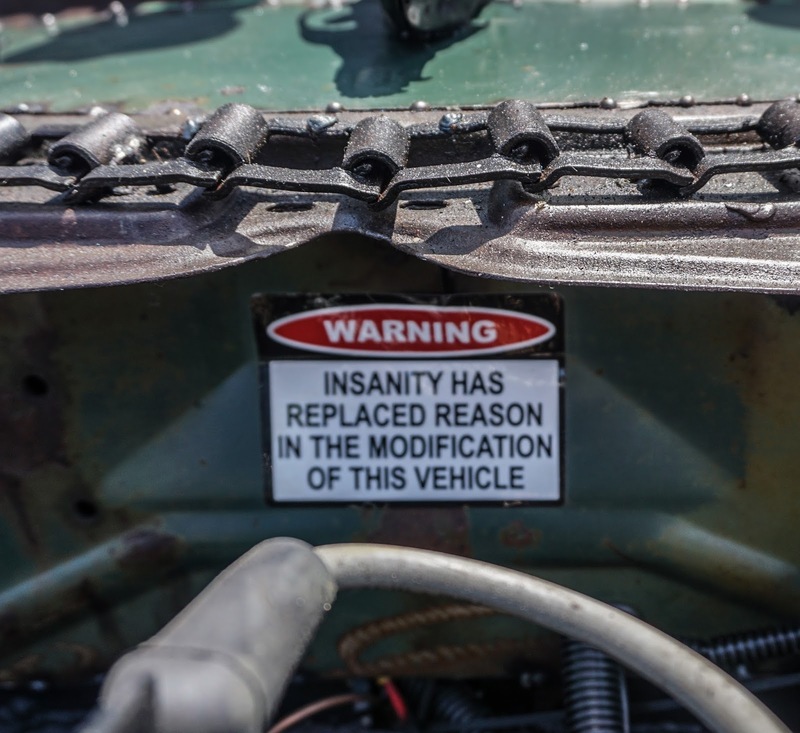 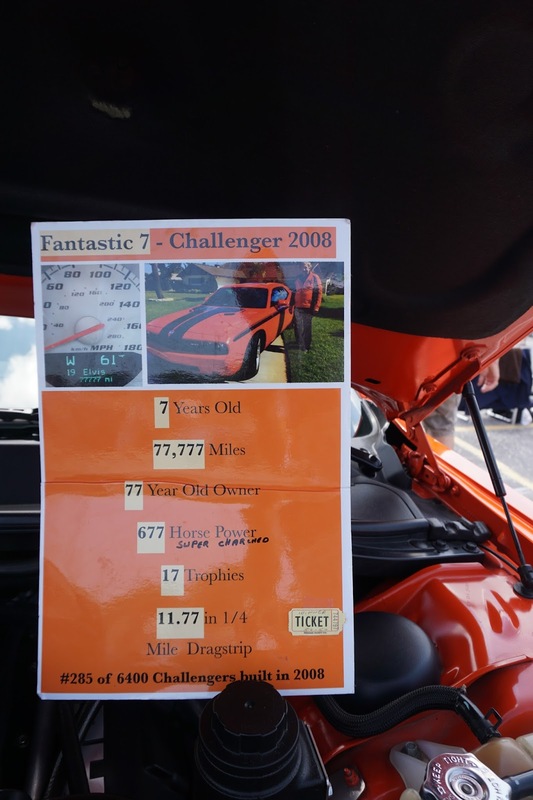 I've been to a lot of car shows since this blog started in March 2014 and its always fun to see the creativity and variety of ideas car owners come up with to customize their vehicles. 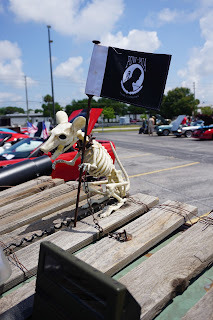 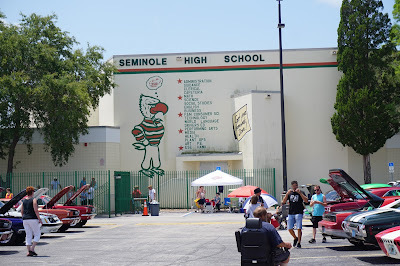 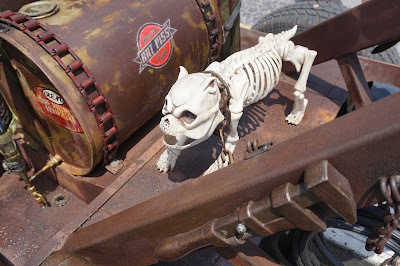 On Saturday, May 14th Seminole High School was holding a car show and so I swung by and found something unusual. And I also found something very special owned by a young 77 year old guy. 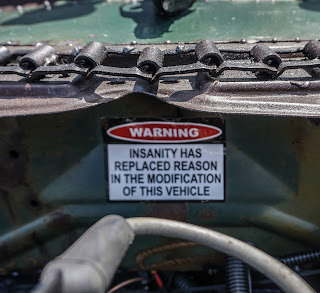 First the Ripleys Believe It or Not entry. I came across a virtual idea blizzard or you might say a storm of slightly unusual ideas that Lee, the owner of Swamp Rat included in this pick em up truck. 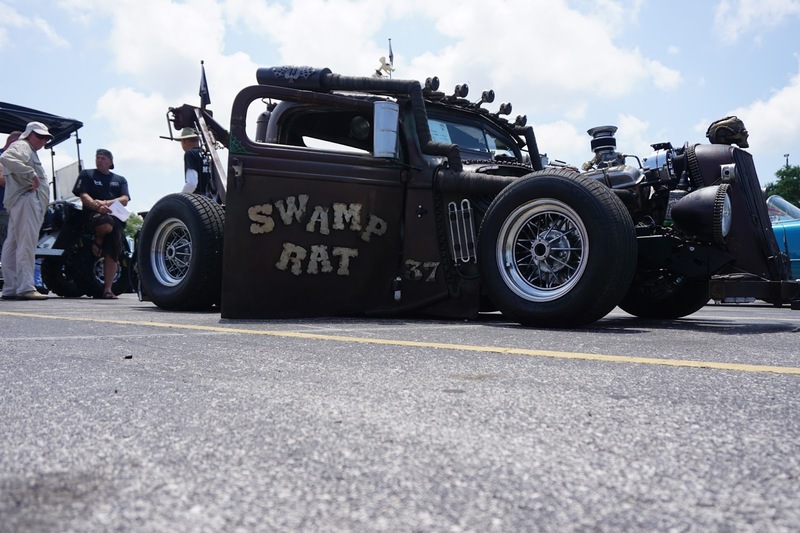 I don't think you would ever want to try going for a ride in this rat trap of a vehicle. 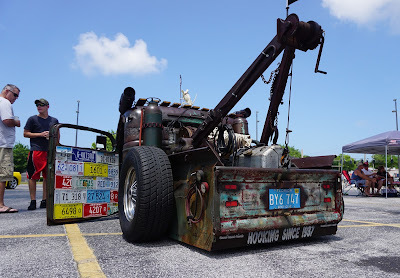 You sure don't want to have your car 'Hooked' by this thing. Take a close look to see how may 'options' Lee outfitted his tow job with. Love The Color- Keep on Crusin!